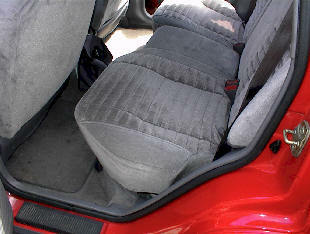 1) Release and lift rear drivers side seat cushion. 2) Lift edges of carpet. 3) Remove two connectors at Infinity amplifier. 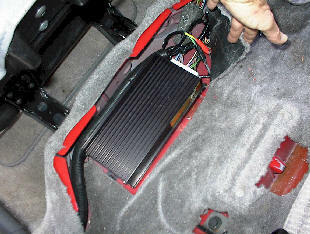 4) Remove three screws securing Infinity amplifier to floor and remove Infinity amplifier.